Bhavani Polycoats India Pvt. Ltd.
Price: Rs.500 per 40 kg bag. We are one of the most renowned companies for the manufacture and supply of one of the top quality wall putties. 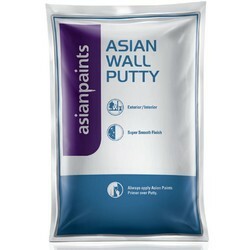 These Lappam wall putties are generally a mixture of linseed oil and whitening powder which is used for making the surface of walls smooth and even. 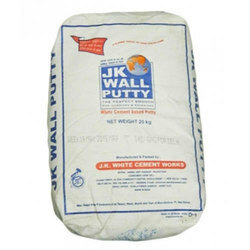 These are the best replacements for the too costly 12mm plaster of paris coats for the much better and shinning wall surface. Technical Specification of ultra Wall Care physical State Ready to use Dry Smooth Fine powder. Preserve life : After Mixing 2 to 3 hrs. Covering on Smooth surface : 6 to 8 sft. / kg per 2 coats.